July 7, 2014 – BMW has announced a number of modest facelift changes for the 2015 model lineup. Included was an announcement of a special edition K 1300 S Motorsport version. The new models will be available for ordering from your local BMW Motorcycle dealer starting in August 2014. 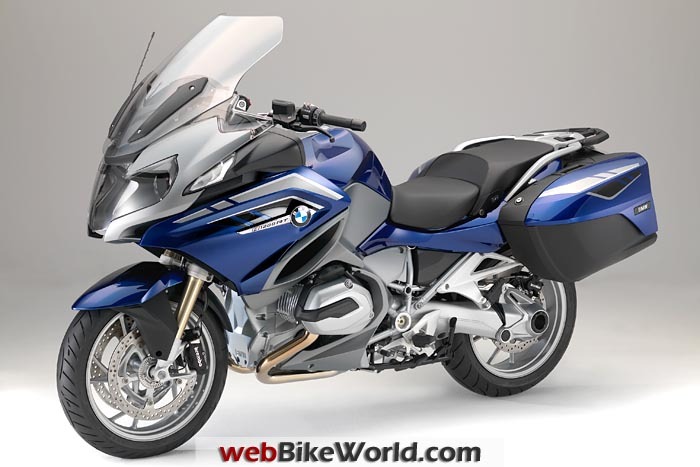 As of model year 2015, the BMW F 700 GS will also be available in the following colors and color combinations: Alpine white 3. Black storm metallic with racing red and frame finished in red and the spring strut finished in red (standard). Racing blue metallic matte. The previous paint finishes of red apple metallic, Ostra grey metallic matte and glacier silver metallic are no longer available. As of model year 2015, the BMW F 800 GS will be available in the following new paint finishes or paint finish combinations: Light white with black storm metallic and frame finished in red with the spring strut finished in red (standard). Racing red. Also, the Alpine white 3 color remains. The previous paint finishes of Cordoba blue and Kalamata metallic matte are no longer available. 2015 BMW F 700 GS. 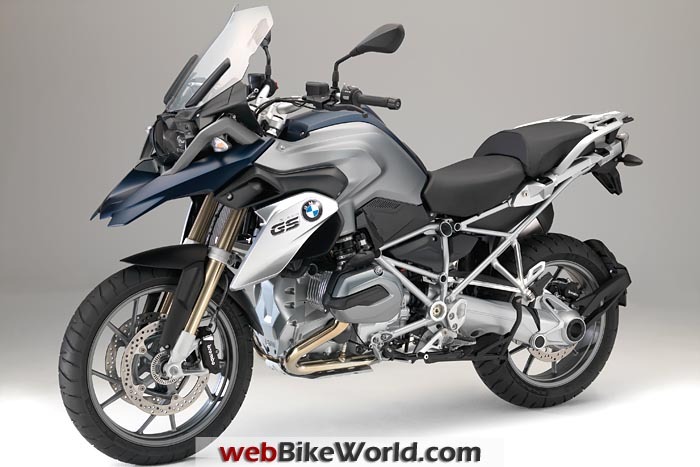 As of model year 2015, the BMW F 800 GS Adventure will also be available in the following new paint finishes: Alpine white 3. Kalamata metallic matte. The previous paint finishes of racing red and Sandrover matte are no longer available. 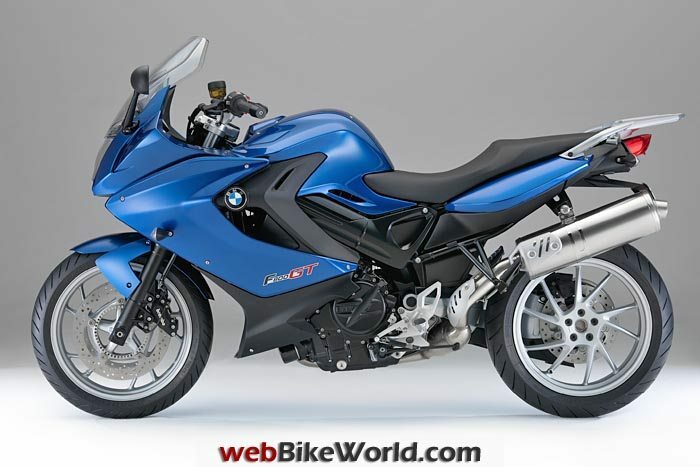 As of model year 2015, the BMW F 800 GT will be available in the following new paint finish: Montego blue metallic. The paint finish dark graphite metallic and light white remain but the Valencia orange metallic color is no longer available. 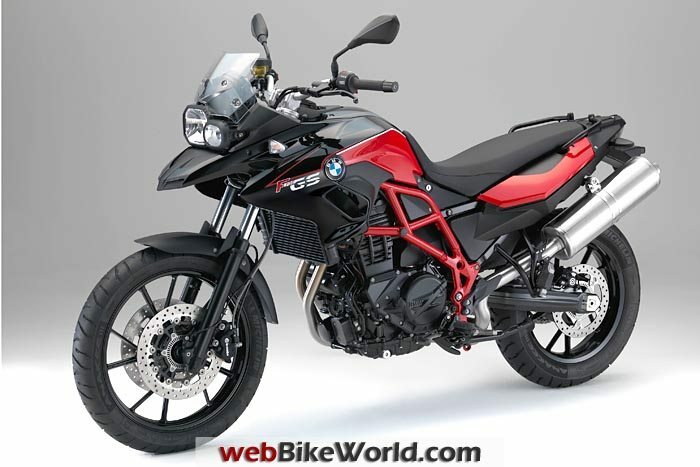 As of model year 2015, the R 1200 GS will have more than just a few new paint finishes. With a view to enhanced running smoothness, it will also be fitted with a crankshaft with increased gyrating masses, currently used in the R 1200 GS Adventure and R 1200 RT. In addition, the R 1200 GS can also be fitted with the BMW Motorrad Keyless Ride System as an ex-works option (see below). This enables both the steering lock and the fuel filler flap to be locked and unlocked. The motorcycle is started using the starter button as before. With Keyless Ride, the key can always remain in the rider’s clothing. The Shift Assistant Pro (see below) is available as an option and allows the rider to shift up without clutch, enabling acceleration virtually without torque interrupt. It also allows downshifting without using the clutch. An overview of the new features in the R 1200 GS: Increased gyrating masses in the crankshaft. Shift Assistant Pro (optional). Keyless Ride (optional). New paint finish Alpine white in conjunction with drive and suspension components in black. New paint finish frozen dark blue metallic. New paint finish black storm metallic. Of the previous paint finishes, Thunder grey metallic and Bluefire are no longer available. 2015 BMW R 1200 GS. As of model year 2015, the R 1200 GS Adventure will also have new features which make handling the ultimate long-distance travel enduro even more dynamic and comfortable. 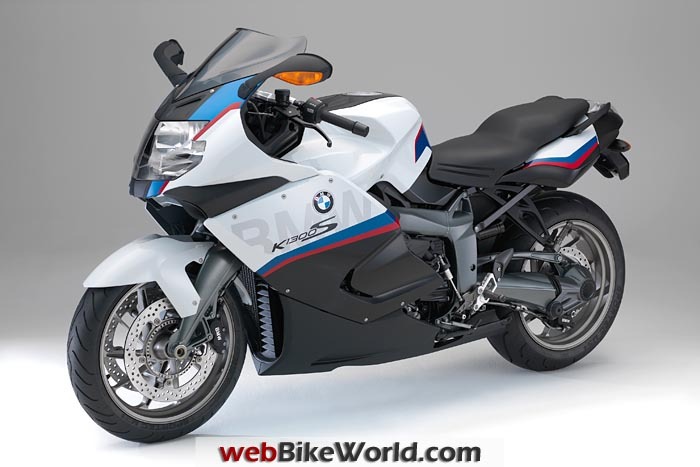 For example, it can be fitted with the BMW Motorrad Keyless Ride System as a factory option. This enables both the steering lock and the fuel filler flap to be locked and unlocked. The motorcycle is started using the starter button as before. With Keyless Ride, the key can always remain in the rider’s clothing. The Shift Assistant Pro available as an option ex works allows the rider to shift up without clutch, enabling acceleration virtually without torque interrupt. It also allows downshifting without using the clutch. Another factory option: the R 1200 GS Adventure can now also be fitted with a lowered suspension. In conjunction with a reduction in seat height by 30 millimeters to 860 millimeters total, the R 1200 GS Adventure is now also within reach of customers for whom the previous seat height posed an insurmountable obstacle. If a further reduction in seat height is required, the R 1200 GS Adventure can also be fitted with the seats of the R 1200 GS. This reduces seat height by an additional 20 millimeters. An overview of the new features in the R 1200 GS Adventure: Suspension lowered by 30 millimeters (optional). Low seats from the R 1200 GS (optional). Shift Assistant Pro (optional). Keyless Ride (optional). 2015 BMW R 1200 RT. As of model year 2015, the R 1200 RT will be supplied in a new two-color paint finish and can also be fitted with the BMW Motorrad Keyless Ride System as a factory option. This enables the steering lock, fuel tank can and storage compartments to be locked and unlocked without using a key. The motorcycle is started using the starter button as before. With Keyless Ride, the key can always remain in the rider’s clothing. An overview of the new features in the R 1200 RT: Keyless Ride (optional). New two-color paint finish of San Marino blue metallic with granite grey metallic matte. Of the previous paint finishes, quartz blue metallic is no longer available. 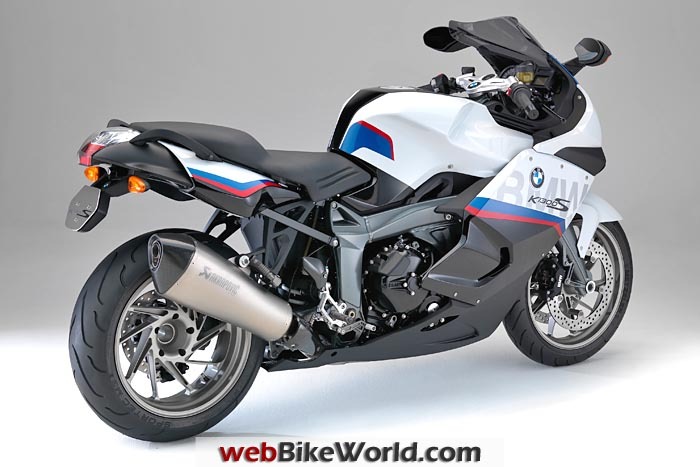 The BMW luxury touring bikes K 1600 GT and GTL will be supplied in new paint finishes as of model year 2015. Also, the two model variants now benefit from Dynamic Traction Control (DTC) as standard for increased safety when accelerating. In addition, the K 1600 GT/ GTL can also be fitted with the BMW Motorrad Keyless Ride System as a factory option (already included in the fittings of the K 1600 GTL Exclusive). This enables the steering lock, fuel tank can and storage compartments to be locked and unlocked without using a key. The motorcycle is started using the starter button as before. With Keyless Ride, the key can always remain in the rider’s clothing. Other new special equipment features for the K 1600 GT/ GTL include daytime riding light and Hill Start Control for easy hill starts. The K 1600 GT and GTL are now also fitted with the instrument panel of the K 1600 GTL Exclusive featuring new scales and particularly high-end chrome surfaces. An overview of the new features in the K 1600 GT/ GTL: Dynamic Traction Control DTC. Keyless Ride (optional). Daytime riding light (optional). Hill Start Control (optional). Safety package without DTC, including daytime riding light and Hill Start Control (optional). Instruments with new scales and chrome surfaces. New paint finish black storm metallic (GT and GTL). New paint finish glacier silver metallic (GTL). New paint finish light white (GT). Of the previous paint finishes, dark graphite metallic (GT and GTL), damask red metallic (GTL) and Montego blue metallic (GT) are no longer available. 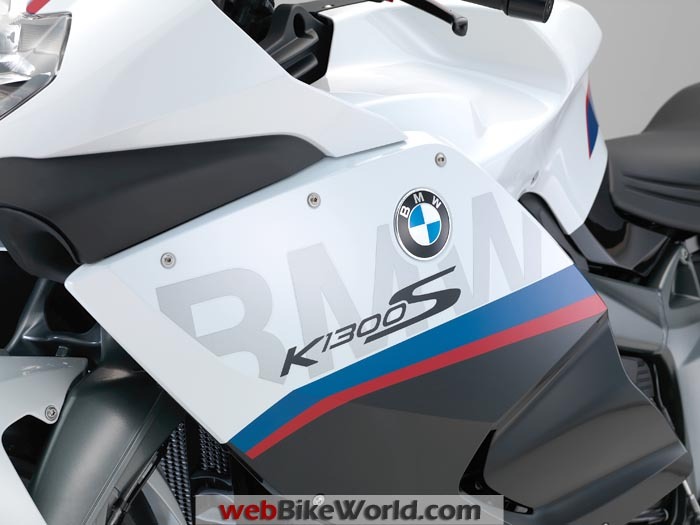 2015 BMW K1300S Special Motorsport Edition. BMW calls this the “Motorsport” (with an “r”) in the press release. Sporty touring combined with long-distance qualities and comfort as well as supreme riding dynamics and safety; these have been the outstanding strengths of the BMW K 1300 S for years. With the exclusive special model K 1300 S Motorsport, BMW Motorrad now deliberately emphasizes the dynamic character of this popular sports touring bike. Fitted as standard with ABS like all BMW motorcycles, the BMW K 1300 S Motorsport highlights its athletic flair with a new color concept in the BMW Motorsport colors of black storm metallic, light white and lupine blue metallic, combined with red decorative stripes. The black engine spoiler and the tinted windshield provide a fascinating contrast. Reflecting its sporting aspirations, the K 1300 S is also fitted with HP wheels for optimized handling, an Akrapovič rear silencer and HP footrests for rider and passenger. The highlights of the BMW K 1300 S Motorsport: BMW Motorsport paint finish in black storm metallic, light white and lupine blue metallic. Windshield, tinted. HP footrests for rider and passenger. HP wheels. Akrapovič rear silencer. The previous paint finishes titanium silver metallic with sapphire black metallic and the racing red with sapphire black metallic and Alpine white 3 combination are no longer available. The market launch of the BMW K 1300 S Motorsport will be on August 1, 2014 at a price of € 19,950 incl. 19% VAT. As of model year 2015, the BMW K 1300 R will be available in the following paint finish: Sapphire black metallic with black satin gloss. The previous paint finish racing red with sapphire black metallic is no longer available. For increased comfort, the innovative electrically powered scooter BMW C evolution can be fitted with a comfort seat (optional) as of model year 2015. This is also available as a special accessory for retrofitting. For the first time, the BMW Motorrad Keyless Ride System now optionally replaces the conventional ignition lock in the R 1200 GS / GS Adventure, the R 1200 RT and the K 1600 GT / GTL. This means that it is no longer necessary to use a regular key. Unlocking and locking of the steering lock, ignition, fuel filler flap and storage compartments (R 1200 RT and K 1600 GT / GTL) is carried out using a transponder integrated in the key. The key can therefore remain in the rider’s clothes. As soon as the key is located within the vehicle reception area (distance < 2 meters), the steering lock can be briefly unlocked after successful authentication by briefly pressing the button. The steering lock is locked by keeping the button pressed down and placing the handlebars in end position. The ignition is activated by briefly pressing the button or keeping the button pressed down after releasing the steering lock. The ignition is switched off by means of a short or long press of the button. To open the fuel tank, the lever of the fuel filler flap is simply raised. The fuel filler flap can be opened when the motorcycle has been electrically unlocked. The fuel tank is closed by simply pressing the fuel filler flap shut. The alarm system (DWA) is automatically activated when the ignition is switched off and the steering lock is closed, as soon as the key leaves the reception area. However, the alarm system can also be activated manually. Shift Assistant Pro for the R 1200 GS / GS Adventure. Shift Assistant Pro for gear shifts virtually without torque interrupt as a new special equipment feature for the R 1200 GS / GS Adventure. The Shift Assistant Pro enables the rider to shift up and down without activating the clutch or throttle valve in the relevant load and engine speed ranges, giving the rider additional comfort as well as increased dynamic performance. Most shifts can be carried out using the shift assistant; one exception here is setting off, for example. When accelerating, the throttle valve no longer has to be closed for shifts, so propulsion power is virtually constant without torque interrupt. When decelerating and shifting down (throttle valve closed), the engine speed is automatically adapted by means of double-declutching. Gears are engaged as usual by means of the gear pedal. Shift time is significantly reduced as compared to a gearshift using the clutch. However, the Shift Assistant Pro is not an automatic transmission, it simply provides gear shift support. When the Shift Assistant Pro is used for gear shifts, the cruise control is deactivated for safety reasons.